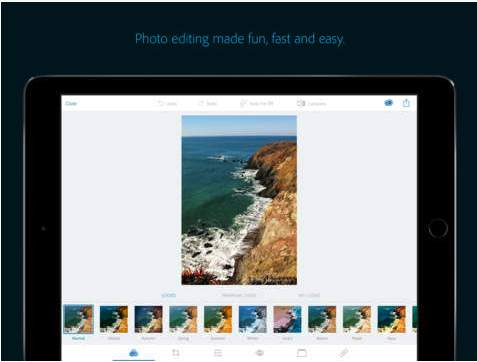 Adobe Photoshop Express is a great free photo editing app for teachers. You can use it to customize your photos the way you want. You can merge multiple photos into a single image, apply blurring technique to disguise faces, and in case you have an Adobe ID, you will have access to far more advanced functionalities that include reducing the haze and fog from your photos, noise reduction to minimize unwanted grain and speckling in your night photos and many more.